I see these fat bombs everywhere when looking for Keto recipe inspirations online, so I thought I’d jump on that train and show you a simply vegan keto snack that helps you get your fats in. When I was on keto I was often struggling with getting to my fat goals for the day. A lot of time I ended up in the evening with still plenty of fats to go through but my net carbs already all used up. 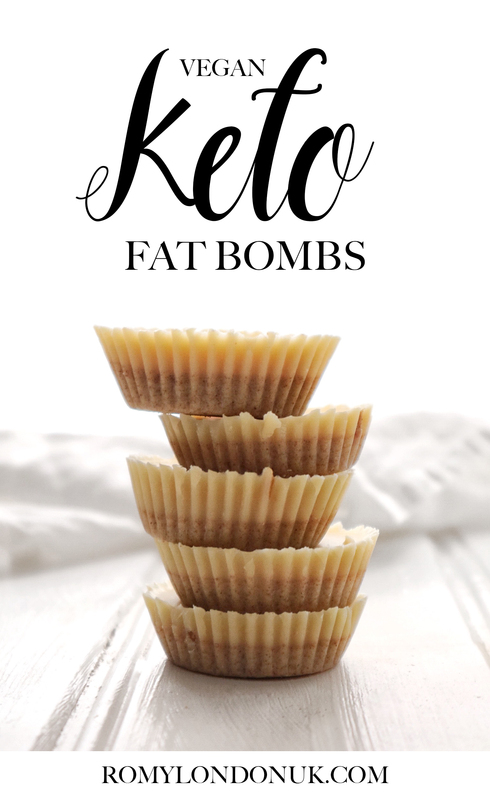 It is difficult to find the right fats without adding carbs – and this is where these fat bombs come in! You will see that I used coconut & almond butter in this recipe – simply as it is my favourite nut butter and super tasty. If you want to lower the net carbs in this recipe even more, feel free to exchange this nut butter for a low carb alternative such as sugar free peanut butter or plain almond butter. 1. Slowly melt the cacao butter in a double boiler over medium heat. 2. In the meantime add a couple of muffin paper tins to a muffin tray and make space in your freezer to fit the tray in later. I made about 6 fat bombs from the amount of ingredients named above. 3. Once the cacao butter is all melted stir in the liquid sweetener. Divide half of it in between 6 muffin tins, then add in half a tablespoon of the nut butter to each muffin tin and top off with the rest of the melted cacao butter. 4. 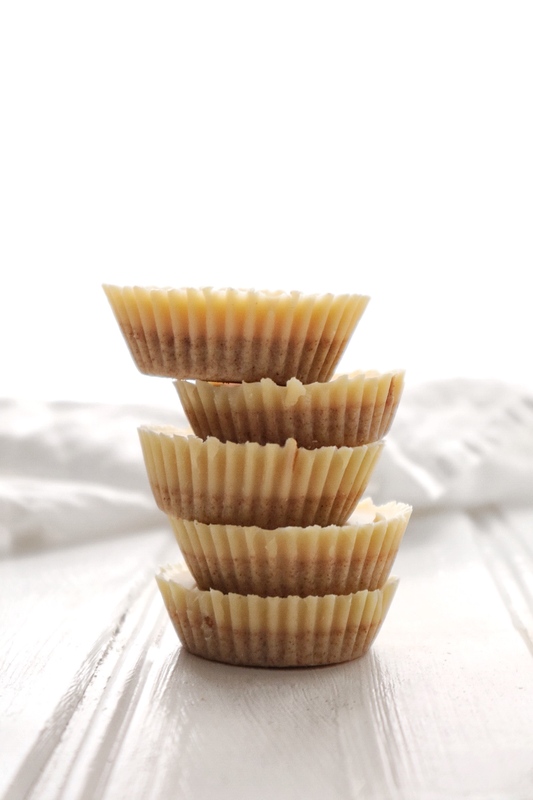 Place the muffin tin in your freezer for at least 30 minutes and your fat bombs are ready! By adding the cacao butter first and then the nut butter (which is heaver than the cacao butter!) the nut butter will blend in with the cacao butter at the bottom of the fat bomb and this part of the fat bomb turns out super creamy and melty in your mouth.